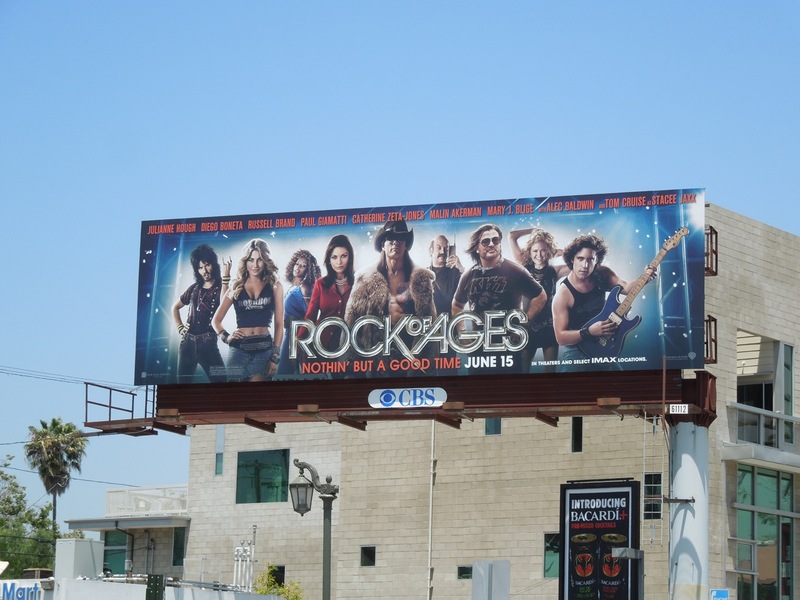 What better way to start the week than to step back in time to the 80's with a little glam rock, courtesy of the big Hollywood movie adaptation of Rock of Ages. 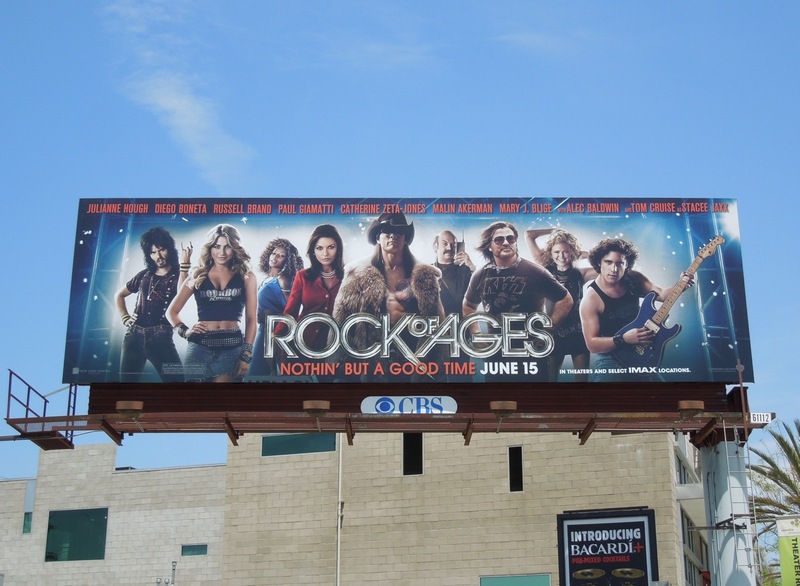 Daily Billboard finds these billboards for the new musical, based on the 2006 Broadway hit of the same name by Chris D'Arienzo, really striking. 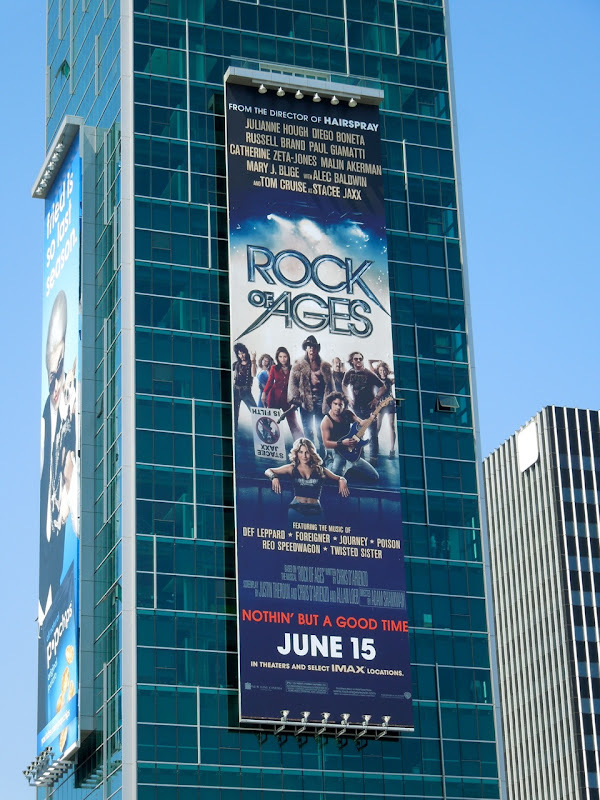 Maybe it's that strong dark blue background that catches the eye, or more likely the ensemble cast headlined by Tom Cruise playing against type as a womanizing glam metal rock star 'Stacee Jaxx'. 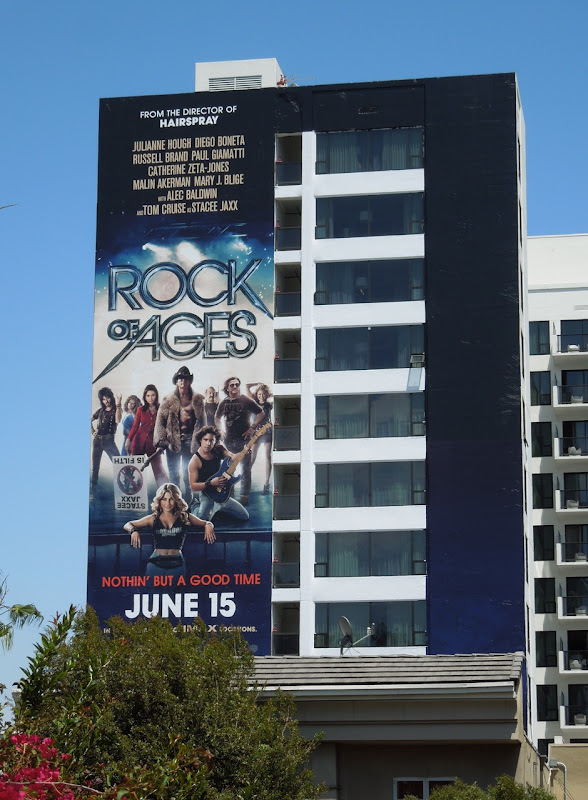 Along with familiar names like Catherine Zeta-Jones, Alec Baldwin, Russell Brand and Mary J. Blige, the movie also stars former Dancing with the Stars professional dancer and country singer Julianne Hough, who's on a roll after her part as 'Ariel' in the Footloose remake. 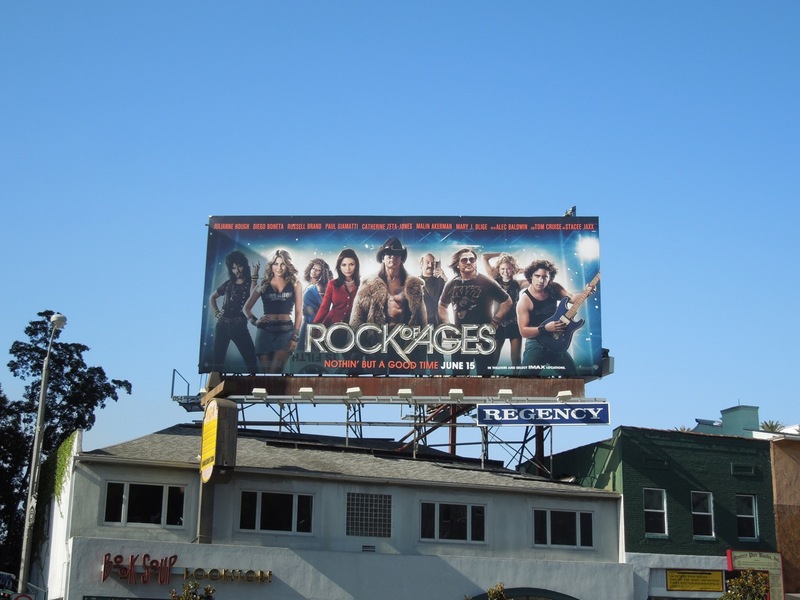 It's also funny to see a lot of these billboards along West Hollywood's Sunset Strip where the movie is set amongst the iconic rock music venues. 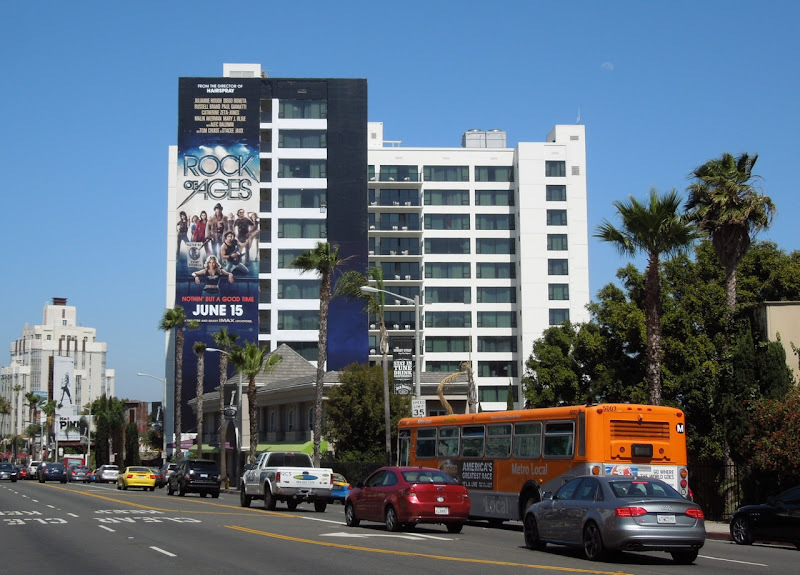 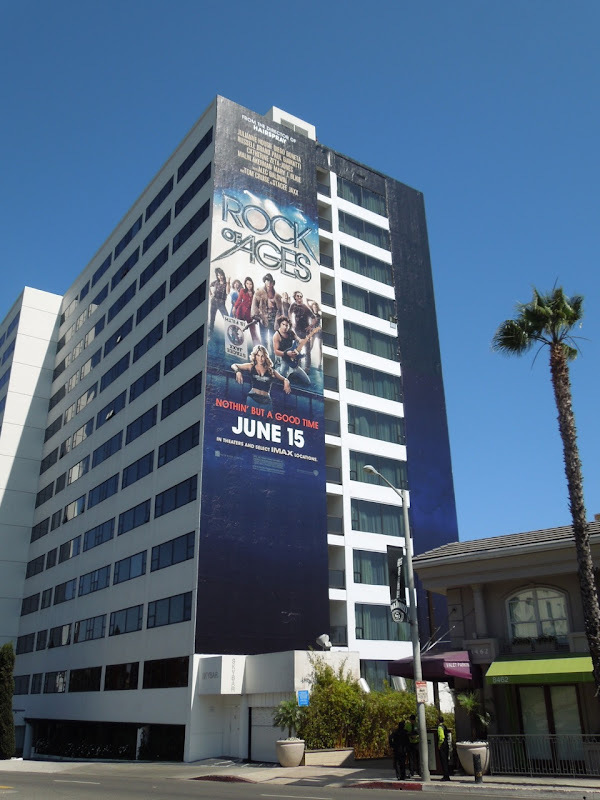 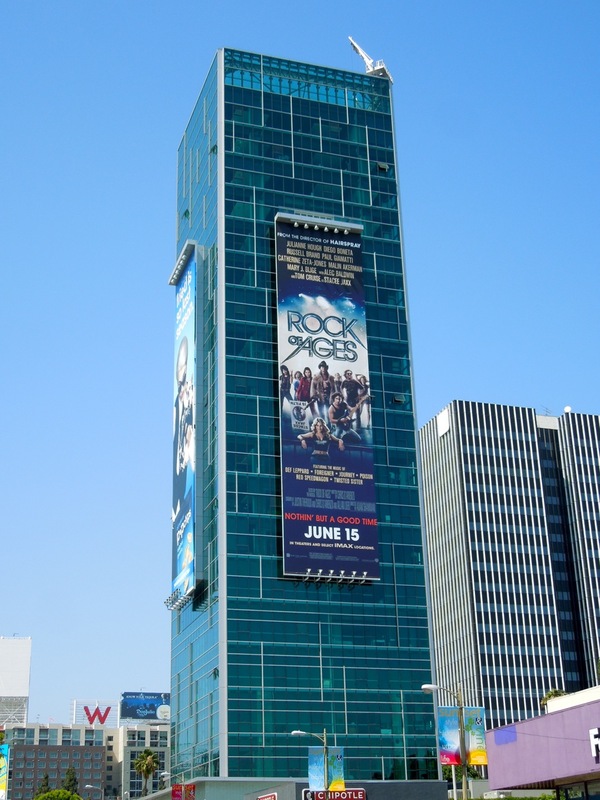 This giant-sized billboard was snapped on the side of the equally notorious Mondrian Hotel and the smaller landscape billboard was captured further west along Sunset Boulevard on May 26. 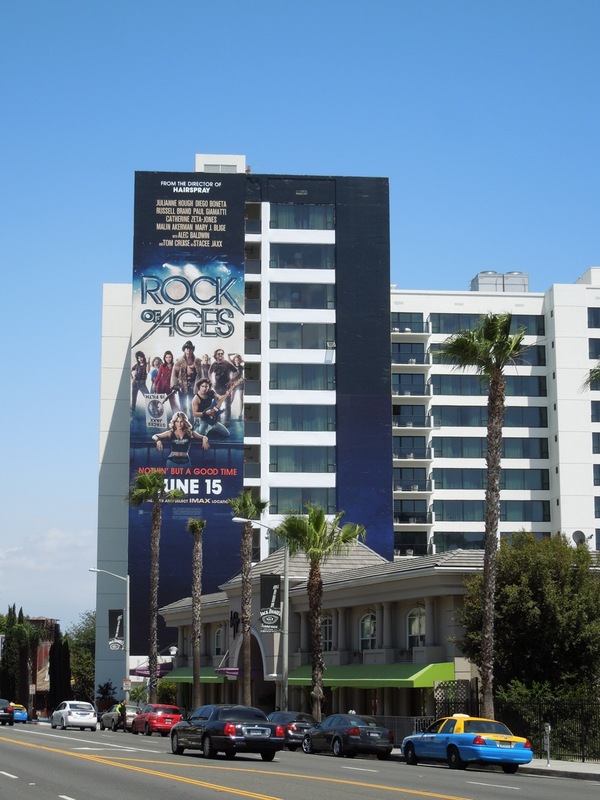 Another super tall billboard was spotted towering over Sunset & Vine in Hollywood on May 31, whilst the larger landscape ad version was sighting along Melrose Avenue on May 22, 2012. 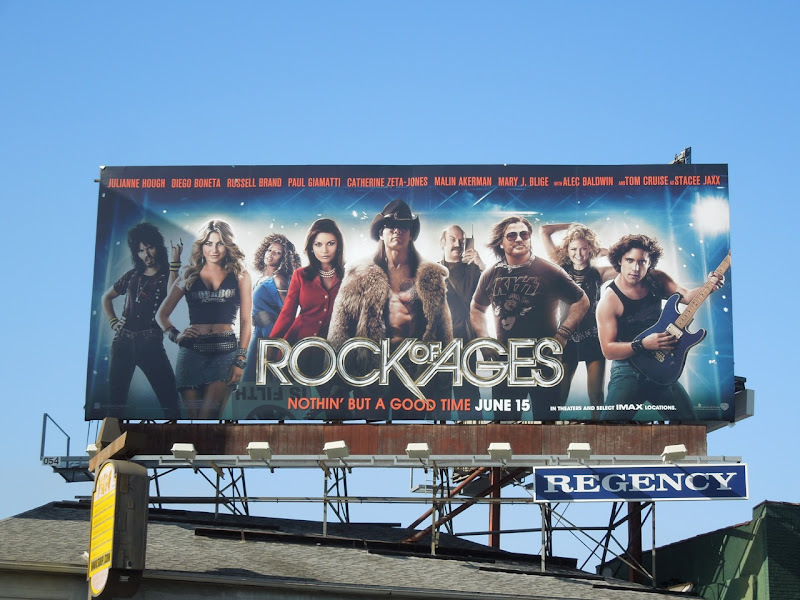 If you're a fan of the musical, be sure to check out these original movie costumes worn by Tom Cruise, Mary J. Blige and Alec Baldwin in Rock of Ages on display.